The Reference Premiere Designer On-Wall RP-204D offers flexible placement options where floor space is a premium. Dual 3.5” Cerametallic woofers and a 1” Titanium Dome Linear Travel Suspension (LTS) tweeter deliver the powerful sound of the Reference Premiere box speakers to a slim, on-wall solution. The matte finish helps it blend more seamlessly with contemporary interior and electronics. The Tractrix horn geometry helps to improve high-frequency response and extension, while enhancing imaging and dynamics. 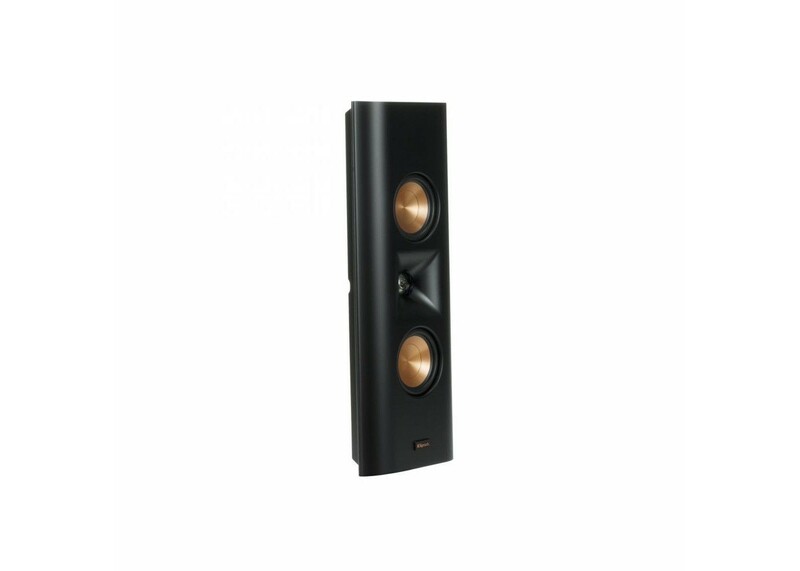 It also focuses the high frequency sounds towards the listening area, for the cleanest, most natural sound possible. Cerametallic woofers represent the pinnacle of Klipsch driver design, maintaining exceptional rigidity, and lightweight construction, for minimal cone breakup and distortion. When paired with the Tractrix Horn-loaded LTS tweeter, it provides speaker efficiency highest in its class. Front grill attaches magnetically for an elegant transition from powerful showstopper to discrete performance piece.